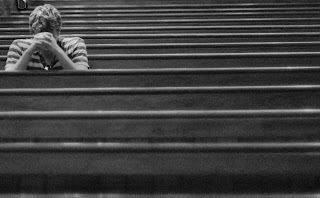 We’re doing more than we think we are when we pray, “our father…” or “father God.” I don’t usually get hung up on it, but recently I’ve found myself distracted when someone begins a corporate prayer with the paternal address. But why should I get hung up on “father”? After all, it is biblical, isn’t it? In the New testament, Jesus prays to his “father,” he even teaches his disciples to pray, “our father…” (Matthew 6:9, NRSV). It’s also strung throughout the Hebrew Bible. For example, Deuteronomy 32:6 is explicit: “Is this the way you repay the LORD, O foolish and unwise people? Is he not your Father, your Creator, who made you and formed you?” (NIV). And we can’t ignore the Prophets, can we?—“Have we not all one Father? Did not one God create us? Why do we profane the covenant of our fathers by breaking faith with one another?” (Malachi 2:10, NIV). The fatherhood of God is biblical. But what’s also biblical is the motherhood of God! Passages like Isaiah 42:14 scandalize any notion of God as a differentiated and unconditioned male figure who watches the world from a distance (the bearded old man in the sky motif, if you will)—“For a long time I have held my peace, I have kept still and restrained myself; now I will cry out like a woman in labor, I will gasp and pant” (NRSV). And there’s also Isaiah 49:15, “Can a woman forget her nursing child, or show no compassion for the child of her womb? Even these may forget, yet I will not forget you” (NRSV). Isaiah is not alone. Hosea, too, uses such language; “I was to them like those who lift infants to their cheeks. I bent down to them and fed them” (Hosea 11:4, NRSV). Might we consider such passages examples of “gender bending?” Gender bending is what it sounds like—it is bending or challenging, without completely breaking or abolishing, social norms of masculinity and femininity. Gender bending helps us to correct strongly held, though essentialist, interpretations imposed on women’s and/or men’s experience (if we can even use such a term without ourselves essentializing). When Miriam speaks against Moses (Numbers 12) or when Jael defeats Sisera (Judges 4:17-22), they do not completely solve the problem of patriarchal and paternalistic viewpoints in scripture, but they do bend them, they do offer resources to help us push beyond such views. The problem, however, in considering motherly images of God as examples of gender bending is that we may not want to admit to a paternal starting-point. We may not want to give credence to the assumption that fatherhood is the “norm” for God and motherhood is “bending” it. We have theological reasons to resist imposing any such norm onto God. And it is disputable to what extent we might need to start with such a norm. Nowhere in scripture is there such a claim that God is univocally a male. Nowhere, in fact, is there any explicit claim to the gender of God. In fact, if there is any claim, it is that God in some way transcends human categories and social constructions—“God is not a human being, that he should lie, or a mortal, that he should change his mind” (Numbers 23:19, NRSV). But the problem is that fatherhood, not motherhood, is a theological position that’s been held throughout church history—from Augustine to Calvin to Barth. It has not helped that men were, for so long and in so many contexts, the only ones given voice in the discipline. 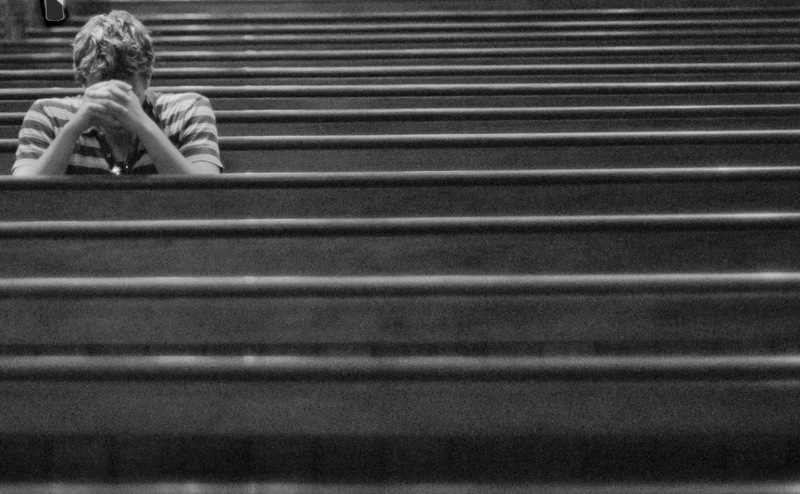 In his book, The Christian Life, Barth defends and even establishes the exclusivity of praying, “our father…,” by asserting that to be dissuaded from doing so on socio-political or other temporal grounds (i.e. someone has had a bad history with their earthly father) is to mistake the address for having analogy in human experience—to subsume the objective reality of God into subjective human experience. This is an interesting theological argument, and in some ways a convincing one, but in preserving the function of theological language and in preserving the relational address in prayer (God is a person, not an idea, so the vocative is indispensable), Barth also establishes an exclusively paternal address where maternal address could be (would be!) just as biblically and theologically appropriate for personal address. So what we’re doing when we pray, “father,” with exclusivity is we are establishing the masculinity of God as a social norm. It is only against this backdrop that we can consider motherly metaphors of scripture to be examples of gender bending. And it is against this backdrop that it becomes vitally important to privilege these passages as correctives. It’s not that praying to God as “father” is wrong or unbiblical, it’s that not praying to God as “mother” may be wrong and unbiblical. In any case, what we’re after is the vocative, a personal address, so that God does not become accessible as an immanent intellectual construction, but is encountered as an acting subject (indeed, a social actor) who cannot be contained in essentializing constructions of language. If there is a way to bend the gendered vocative address, we must find it. We must find a way to address God in such a way that certain conceptions of human attribution are not imposed on God so that such attributes are made “godlike” in a way that others are not (thus placing the latter in subordination to the former). As Virginia Ramey Mollenkott has said, “If God is always 'he' and imaged as Father, Husband, or Master, then human husbands, fathers, and employers are godlike in a way that wives, mothers, and employees are not. And the stage is set for exploitation.”* Herein lies our ethical-theological imperative to think differently about how we gender God in our prayer and in our speech. There is a potential dehumanizing (or de-divinizing, if we are careful with our meaning) effect in our exclusively gendered language. But herein also lies our ministerial imperative. If ministry is essentially participating in God’s action and if God’s action is located in the concrete and lived experience of human beings, then to obscure someone’s experience through the theological essentialism of imposed gendered norms is to obscure the very location of divine and human encounter and to obstruct our participation in God’s action. *Virginia Ramey Mollenkott, “Sexist Language: The Problem and the Cure,” in Language and the Church: Articles and Designs for Workshops, ed. Barbara A. Withers (New York: National Council of the Churches of Christ in the U.S.A., 1984), 14. Cited in Sharon H. Ringe, “Feminist Theology and The United Church of Christ,” in Theology and Identity: Traditions, Movements, and Polity in the United Church of Christ, Revised, ed. Daniel L. Johnston & Charles Hambrick-Stowe, (Cleveland: United Church Press, 2007), 121.